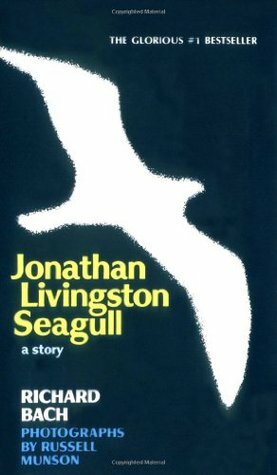 Young Jonathan is a seagull who longs to unravel the secrets of flight, but the other seagulls only care about simple basic flight, enough to get them to food and shelter. Jonathan is banished from his flock for practicing and perfecting aerial tricks, high speed turns, and low-level glides. He finds a higher purpose in his love of flying, but the other birds don’t understand his obsession with flight. Full of hidden meanings, religious themes, and soaring prose, this book captured my imagination from the very first page. Taken as a simple story, it is an emotional tale of an intellectual and spiritual journey to find purpose in inspiring a younger generation, and delight in loving those who are unlovable. Read as an allegory, it is so full of a mishmash of religious ideas, that it could be interpreted any number of ways based on the readers own spiritual beliefs. Overall, I enjoyed it, but I’m not sure I understood the authors intent. There are so many ways that it could be interpreted, and the themes are so generalized, that it’s difficult to know what the author is truly trying to say. I feel like it could mean so many things to a lot of different people, and that is the beauty of the writing. Happy Reading!